Lean In continues that conversation*,* combining personal anecdotes, hard data, and compelling research to change the conversation from what women can’t do to what they can. Sandberg provides practical advice on negotiation techniques, mentorship, and building a satisfying career. She describes specific steps women can take to combine professional achievement with personal fulfillment, and demonstrates how men can benefit by supporting women both in the workplace and at home. 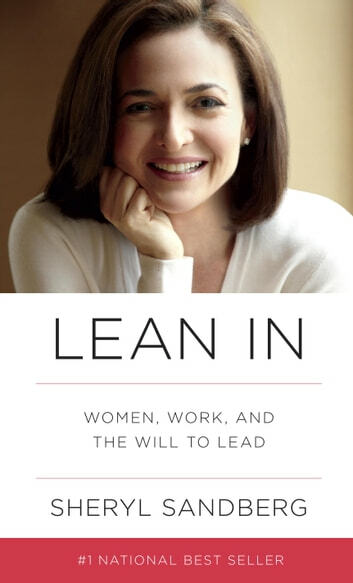 Written with humor and wisdom*,* Lean In is a revelatory, inspiring call to action and a blueprint for individual growth that will empower women around the world to achieve their full potential. This book gave me new insight on life as a woman. It's comforting to know that other women have the same conflicts about balancing work and being at home as I do. 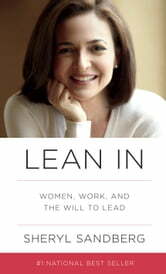 Sandberg's guidance of trying to make choices that are right/fit for the individual has encouraged me to "lean in" further. I hope that I can concentrate on accomplishing what is important for me rather than trying to be perfect and "having it all." I think this book should be read at any stage of life, helpful reminders that encourage you in your day. Seeing clearly how you value yourself and others. Reminds you of your own blindspots in behaviour and power dynamics. Thank you Sheryl for your kind straight to the point attitude and commitment to empowerment. This was a fantastic book that was continually discussed among my girlfriends, colleagues and other small business owners who I network with. I found the whole time I was nodding my head in agreement and was empowered to want to move forward and continue to pave the way for my daughter and generations to come as women continue to know that they can lead in the workforce and have a family successfully. Easy and insightful reading! Great content!